Wilford “88 Keys” Wilson at his Monday night gig at Fellini’s #9. Photo by Anita Byers. Okay, seriously, if you love music, you really have no reason not to come out to Fellini’s #9 on Friday, January 31 for Wiford “88 Keys” Wilson’s birthday celebration. First of all, the dude is turning, you guessed it, 88-years old. 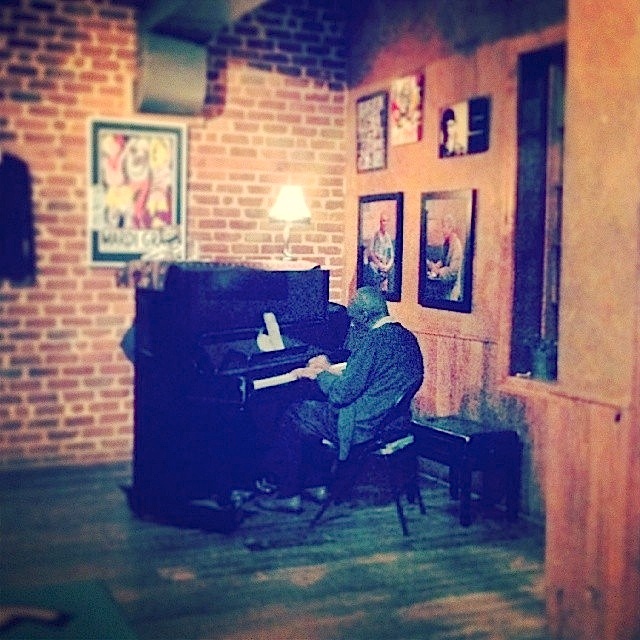 Second of all, he’s been playing jazz piano here in Charlottesville for over six decades! Back in 1947, jazz guitarist Clarence “Dinky” Monroe gave him his nickname because his hands covered the entire keyboard, now that keyboard has been hammered for over 60 years. From way back in World War II when he was stationed in Europe and put together a “Regimental Revue” that entertained the troops, to sharing the stage in Charlottesville and at UVA with the likes of Sarah Vaughan and Count Basie. Seriously, Wilson has kept at it quietly, steadily through all the history and changes that have taken place in the last century and beyond. Can you pencil him in on your calendar for a little appreciation? You owe it to yourself and to anyone else who devotes their life to bringing this town live music. Please, stop by and wish him a happy birthday. You’ll be glad you did. Oh, also, Fellini’s owner Jacie Dunkle says she’s putting together a scrapbook for the events, so if you have any remembrances of Wilson and his music write them down and bring them so they can be included. Wilson will be playing from 6-9pm, and cake will be served around 7pm. Reblogged this on THE DTM.